The above sign says the "Black Bull" but the information I have that it was taken in Canterbury in July 1986. 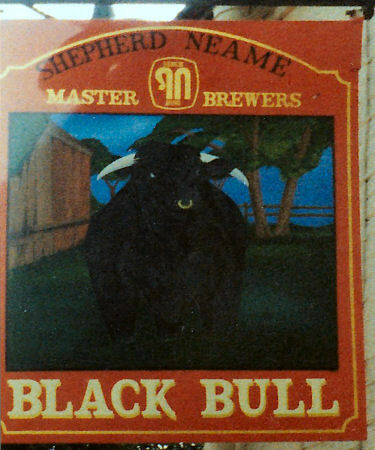 The problem is I do not know of a "Black Bull" in Canterbury, so assume it is in a neighbouring village or town, but as yet do not know which one. Your help is required on this one as well. Chris Excell says he thinks it could be the "Black Bull" at Newchurch.